Isuzu will soon kick-off it's Dura-Miles Challenge 2018. Between 13th August 2018 and 31st October 2018, participants can test both the superb fuel efficiency of the Isuzu D-Max pickup, and their own driving skills by taking part in a fuel-economy challenge for a chance to win the grand prize of a vacation package worth RM3,000. The Dura-Miles Challenge contest consists of two independent parts. The first part is a fuel efficiency challenge, the second is a creative photo contest with a designated photo wall. All Malaysians with a valid driving license and in good driving fitness are welcomed to participate.  Contestants can sign-up for a test drive at any participating Isuzu dealership, after which, they are required to drive a pre-determined route (depending on the dealership’s location). Vehicles will be refuelled before and after the test drive to measure the amount of fuel used. 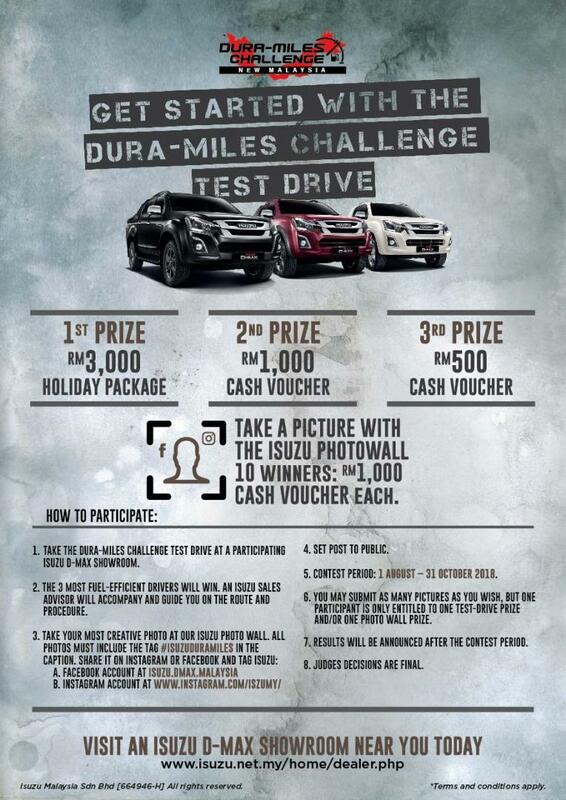 Upon completion of the test drive challenge, participants are required take their most creative photo with the Dura Miles photo wall, and share their photos on Facebook or Instagram with the hashtag: #isuzuduramiles. Each participant may take part in this contest once per day, and not more than twice a month during the campaign period. The recommended test drive time is between 10:30 am to 4:00 pm. 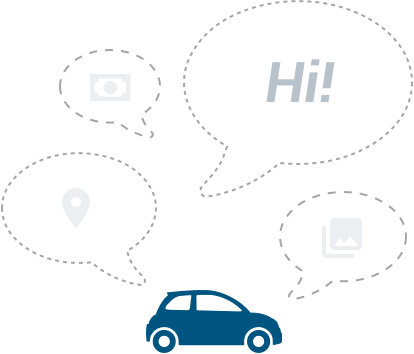 Participation outside of the recommended time is at the discretion of the showroom’s manager with consideration of traffic conditions. Second and third place contestants for the fuel economy challenge will receive RM 1,000 and RM 500 in cash vouchers respectively. The creative contest awards ten lucky winners with RM 1,000 in cash vouchers. 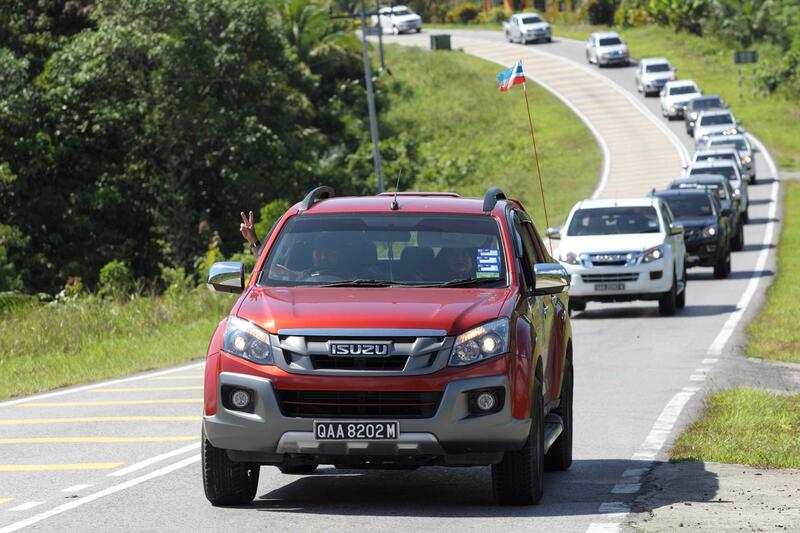 The current fuel efficiency record is 23.8 km per litre of fuel; achieved during the 2015 Dura-Miles Challenge; where four Isuzu D-Max trucks were driven from Bangkok to Singapore (a total of 1,809 km), each using less than one full tank of fuel.